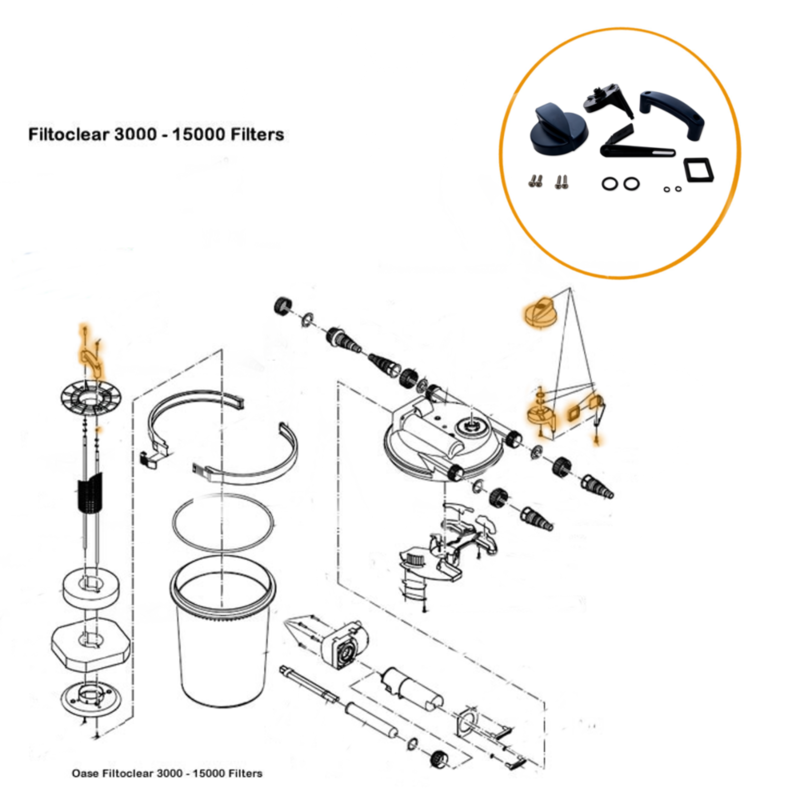 The set includes all the pieces needed to replace the vital parts of the basic cleaning components on the FiltoClear filters. Set consists of dial, handle. 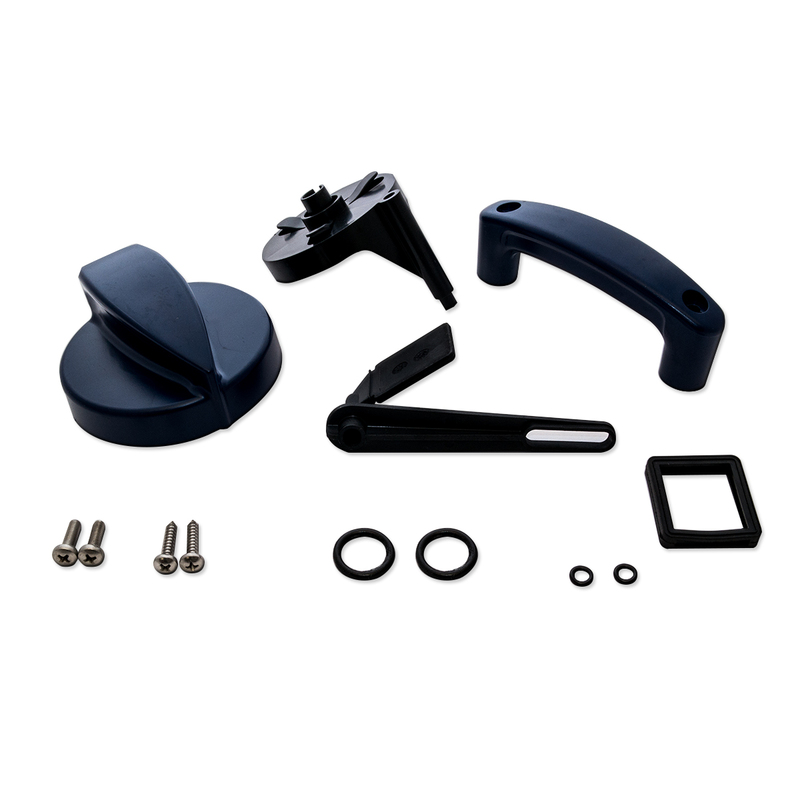 screws, O rings and accessories.